My cellphone contract runs out in November. I currently have a boring, basic old pink Razr that can make phone calls and do text messaging. My next phone will be smart! Anyone have a phone that satisfies these requirements and is on the market right now? There is a lot of buzz around future smartphones, open source smartphones, Google smartphones – but I need something serious that works right now, so when November rolls around I know I’m making a solid professional investment and not throwing cash at a lousy first generation toy. Cost isn’t a serious issue, but I’d like to keep the cost of the phone under $400 and the monthly agreement under $100. 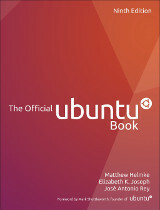 This entry was posted on Thursday, August 14th, 2008 at 11:00 am and is filed under plug, ubuntu planet. You can follow any responses to this entry through the RSS 2.0 feed. Both comments and pings are currently closed. Well, maybe not the battery life (unless you turn off the radios you don’t need) or the pinkness. My husband has an iPhone, I’ve used it plenty but really don’t like it, the keyboard takes up far too much of the screen to be able to see much when I’m using ssh/writing emails, etc, and it’s hard to be accurate with long nails. If it had an option to shrink the keyboard and use a stylus I’d be happier. Hmm, I used to have a Palm Treo with Windows Mobile (the only “yucks”). I had a free ssh client, a free network toolbox (you know, ping, traceroute and so on). IMO it was better than my current Blackberry World Edition. I haven’t used Windows as a desktop OS in years but I’ve been looking fondly at the Windows Mobile devices – the ones I’ve played with have been quite nice. The only concern people have raised is the syncing ability, I’ve heard that they play well enough with Windows but less so (or not at all?) with Linux. I’ve been using a Nokia E61i for the last few months. Has a really nice keyboard and has been really reliable. Might be worth looking into. Also, the Nokia E71 (an evolution of the E61i) has just been released so that might be worth looking into. The OS on both devices is Symbian S60 so 3rd party apps are quite easy to acquire. Cool, the higher end Nokias with the Symbian OS are ranking high on my list, and I am quite fond of their keyboards. Since I got Nokia E90, instead of 12 hours per day with laptop, now I spend less than 5. It has everything except pink color and maybe not so great web browser. But, there’s always Opera for Symbian. i can absolutelly not recommend e61i, because of stability issues and crashes. I used it for 6 long months in IT Network Administrator Environment. Now, i’m proud owner of HTC 4350 and i really like it. It is windows mobile but it has large touchdisplay and much better keyboard than e61i. SSH and rdp are fine too. Don’t worry, i use ubuntu as primary system at home and work too. Try the Treo Line. I use the Palm OS version, the wife has the MS version. Both are nice, excellent features and capabilities and my service with AT&T is excellent for $70 bucks unlimited internet and 200min a month with rollover phone minutes. Excellent coverage all over the US too. I will say while the MS version has some nice games, I’ve yet to have a lockup or reboot on my Palm OS (Had it over 1 yr Treo 680) while the wife’s has needed a reboot numerous times in the 3 mo she’s had hers. I can care less about the games but more interested in the text, email & web etc. It is a LiMo phone. It has bluetooth so you should be able to access the files on it. You could just get a SIM and do a monthly pay as you go plan. Not sure how good the default apps are. The Openmoko is more expensive but it’s a Linux hackers dream. I think the Moto U9 is geared towards the general consumer. Lots of choices. you might look at the Samsung Alias, I think it is only available for Verizon, but it is a flip phone that flips to a full qwerty keyboard, or flips the other way like a regular flip phone. You might want to think about going with a simple phone that is inexpensive and pair that over bluetooth with the Nokia N810, which runs maemo linux (www.maemo.org), which is derived from debian. It has a full qwerty keyboard, ctrl, and other useful keys. It can be had for $350 at newegg and you still have $50 for a cheap phone. The N810 includes X-term by default, and you can run most ncurses programs as well as ssh, etc. it is really a tiny linux computer with proprietary drivers for the hardware, making it difficult to put a full on distribution on it. Are you certain there’s a hard deadline based on your contract? Said differently, can you hang onto your phone after November, but at that point cancel w/ your provider at any point penalty free? If that’s the case, you can take as much time deciding as you’d like. Check out HTC Diamond. Very aesthetic design. Touch screen, good default applications. Insane amounts of 3rd party applications available. 3G, GPS, aok battery life. It should sync pretty well with everything (I have had such devices and it worked for me). @andy You’re right, I could just hang onto this phone contract-free for a while, but I want a smart phone yesterday ;) so November is just my chomping-at-the-bit soonest time I can get one. really? NOBODY’S mentioned the blackberry? But if you need a keyboard you need the Diamond Pro. Which is a bit thicker, but comes with a card slot. But I think that has not been released yet. Windows Mobile is OK once you remove all the branded crapware and strip it down. Windows Mobile 6.1 is very stable. Linux is supported ( out of the box by Mandrake, just needs some packages ). Another one for the Nokia N810 Internet Tablet and a cheaper phone. Its great small does everything. You can also make Skype calls. It runs Maemo a debian derivative. Definitely one for the Linux geek. The N800 is same but cheaper with touch screen keyboard. Its brilliant I could not live without it. I would get OpenMoko over Nokia; just don’t trust the latter. Actually I have the n810 and it runs nice and smooth. From what I’ve read the same isn’t true of OpenMoko, but I haven’t tried it so I can’t say for sure. Entries (RSS) and Comments (RSS). 24 queries. 0.105 seconds.